Carolyn's Sweets has been well established as a reliable company in the wedding and event industry. We have done this by ensuring the Brides & Grooms that book us have a trusting company to deal with to be there when ever we are needed. Over the years we have grown the company into different sectors and now have become the leaders in the Photobooth rental industry in Ireland. We at Carolyn’s Sweets specialise in making your wedding day the best it can be, with the least stress possible. We supply the largest range of sweet displays and entertainment ideas for your big day. We travel all over Ireland to any venue. We currently offer a special discount for weddingsonline customers by using the coupon code HIGM in the coupon section by following our online booking form. Triple Chocolate Fountain from Carolyn's Sweets on Vimeo. What a fantastic service so many options with one service provider. Selfie mirror was a huge hit and the album will hold memories for ever!! Popcorn and candy floss were brilliant extras loved by everybody. Great service with fast set up on the evening extremely professional and helpful we would highly recommend. It definitely added to our day!! Hi Emma & Anthony, Thanks a lot for taking the time to leave this review. It really means a lot. great service & friendly staff.its a bit expensive but well worth the money.our guest with home with a great memory photo. Hi Niamh & Paul, We appreciate your comments re the price. We are always trying to give the best value to our couples. Highly recommend Carolyn’s Sweets! They were helpful and had a large selection of products to choose from. Our selfie mirror went down very well with our guests and the attendant was friendly. The popcorn machine got plenty of use too (we did this instead of a sweet cart). They gave us an album at the end which is fun to have on top of the individual photos given out on the night. Selfie mirrors are useful for smaller venues because they hardly take up any space and people are more likely to give it a go because it’s so visible. Definitely added fun to the night! My granny holding a Bride Squad sign is my favorite photo..
Hi Emma & Mark. What a great review. Thank you for being so honest about your experience. We wish you both the best in the future. Amazing service and quality of product! Highly recommend! 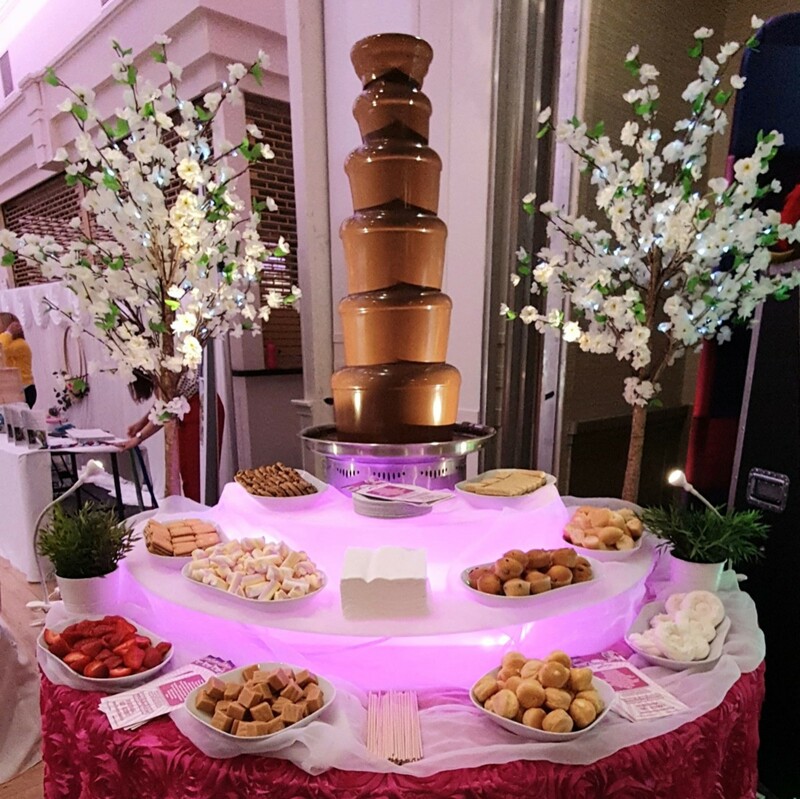 From start to finish Carolyn’s Sweets were amazing, could recommend them enough, even hotel staff commented on there professionalism, everything we booked was was delivered, set up and served with a very high standard, they’ve a clear passion about what they do and it shines through. Thanks Darren, It was a great day. Really added to our special day, it made it for the guests and gave us all more memories. We dealt with Ian . He was so nice to deal with and he took care of everything. I didn't have to so anything at all. Would highly recommend crisp sandwiches at the end of the night. All my guests loved them. We had the Selfie Roamer from Carolyn's Sweets and it went down a treat! We were thinking of getting a photo mirror but we felt that it would take our guests away from the dance floor. We were right. The attendee had the Selfie Roamer out on the dance floor and our guests could take their selfies while dancing. They sent us the link with all the pictures that were taken that night. We were very impressed with the selfie roamer and would gladly recommend it. It was one of the highlights for us. Thanks so much Gillian. It was our pleasure. We had the selfie mirror for our wedding in July and it was a huge hit. All the guests loved it and we got an alblum with all the pictures from the night which was a lot of fun looking at after the wedding, would highly recommend. Found them very responsive to emails as we planned from Australia which made it very easy to book. Hi Nathan & Niamh. We do try to be really quick on emails as we know how important it is to make you feel relaxed. Ian! Thanks so much for the amazing Tayto packs! It was very well received by our guests in the residents bar after all the dancing! People were talking about them for ages after! You made everything so easy for us and guided us with your expertise of how many to go for. I loved the personalized labels too! Thanks for everything! Hi Sarah, I totally agree. The album is such a great thing to have. Guest were so happy with the selfie mirror had a great laugh also the tayto went down a treat thank you so much.. ???? We hired the selfie mirror for our wedding and it went down a storm. Everyone loved it and there was a consent queue for pictures. I received all pictures which were taken in a lovely photo album which is a lovely keepsake. Ian was so professional to deal with at all times and the guys on the night were great. We would highly recommend Carolyn Sweets. Caroyln sweets provided the selfie mirror at our wedding in June. It was a huge hit with our guests and everyone loved it. Ian was extremely helpful and approachable yet professional and was up for a laugh as much as the guests were. I would highly recommend this supplier for any wedding or special occasion. Hi Edel & Niall. We were delighted you had a ball. Thank you for booking with us. I used the selfie mirror for my daughters 21st party and everyone that was at the party really enjoyed the experience. I gave your contact details to family and friends as they were so impressed with the quality and they also had so much fun. I will definetly use this service again. Provided an excellent service and were a pleasure to deal with. I would definately recommend these guys. I got the selfie mirror and candy wheel for my daughters communion everybody loved them both!! And the fella was sound as a ppuns very helpful,thank you! Simple straight forward and easy to deal with. Efficient and disceet. Very efficient!!! We were delighted with the display and quantity of sweets. Thanks all. Everything was brilliant. All our guests were going crazy for the selfie mirror and all the crisp sandwiches. You were amazing thanks so much for everything ! We had a candy ferris wheel for my sons christening and i can’t get over how great it looked. Everybody loved it and there were more than enough sweets! Would defo book again for another event. The service we received was amazing. We had absolutely loads to choose from and would highly recommend to anyone thinking of using these. Mary, thank you very much for taking the time to leave us a review. It is very much appreciated. 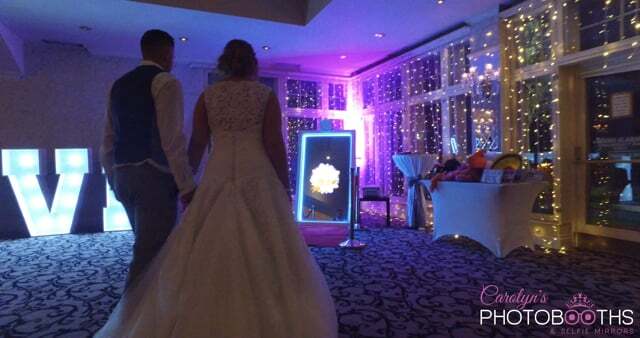 We had Carolyn’s sweets selfie mirror for our wedding in Feb at Crover house hotel. They were amazing. They arrived on time and were very professional they also had the craic with all our guests. It was a huge hit that 4 couples at our wedding then booked with them. Thanks Mairead. Its always good to hear from you still. Thanks a million, the selfie mirror was a massive hit with all the guests, everyone loved it from the kids to the granny's. Would definitely recommend getting one if you're thinking about it. Hi Ellen, Thanks a million for the review. We had the selfie mirror at our wedding on Friday & everyone loved it. The quality of the photos, they were so good. They were personalised for everyone to bring home as a souvenir of the day which we loved. The guy looking after us on the night was so friendly, helpful & patient with everyone. It can't be an easy job to look after drunken people trying to get in photos with a load of props .We got an album at the end of the night with all the photos that were taken, we had a great laugh looking through it. Great service from booking to end. Hi Aisling, Thanks very much for leaving this review. Hi Elayne & James, Thanks very much for having us. Everyone had great fun with the selfie mirror and the guys on the night were also a good laugh. We got the photo album of all the photos on the night and the link to them online less than a week later. Great guys to deal with would recommend them to anyone! Thanks so much Claire. Was an absolute pleasure. Audrey Thanks very much for the follow up. It was so easy to work with you. We had your selfie mirror at our wedding. It was amazing and all of our guests loved it and it was the highlight of our evening entertainment. The album we got at the end of the night was great and we have amazing memories to look back on. Thank you so much for the amazing service you provide. Jacqueline and Shane thanks for following up with this review. You are more then welcome and we hope to work with you in the future. Chocolate fountain amazing. Popcorn machine really good. Great picture opportunities with LED LOVE lights. Candy cart ferris wheel was brilliant. Overall couldn't be better! I'm delighted. Tracy thanks very much. It was an absolute pleasure. Hi Kelly, Thanks a lot for leaving this review. It really helps people put trust in us. I rang Carolyn the week of the my wedding in a panic and she couldn't of been more helpful. She was brilliant form start to finish. She delivered on all my requests, arrived on time and finished later than we agreed which was nice as guests were loving it. Thanks so much for your service would highly recommend and would use again. 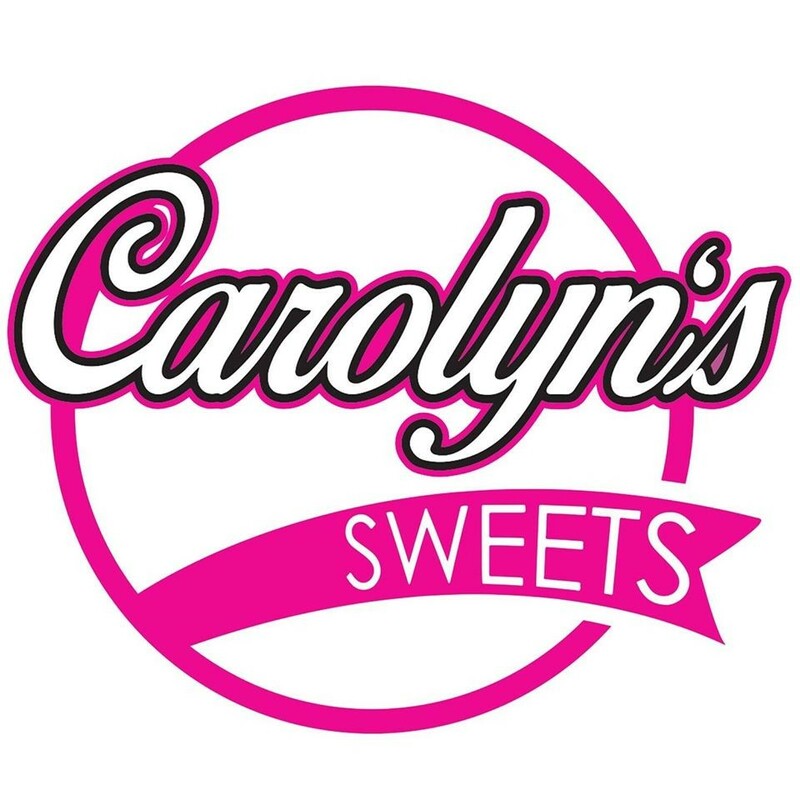 I found Carolyn's Sweets very helpful when planning our big day they couldn't do enough for us regards requirements and questions.They really put us at ease, We would definitely recommend them to anyone getting married. Excellent, ice cream was a big hit with the guests! Thank you for setting up everything and ensuring everyone was having a great time with the mirror. Some of the pics still making us laugh! Hi Thomas & Guilherme, Thanks a lot for leaving this review. It really helps people put trust in us. Great service everyone loved it. Hi Rebecca, Thanks very much for leaving this review. Delighted you were happy with our services. Thanks very much guys it was an absolute pleasure. Antoinette we really appreciate you leaving this review for us. Fantastic service from start to finish! Carolyn and Ian were so friendly and helpful, so easy to deal with and very quick and efficient to contact! On the day they set up very quickly without any interruptions, they also did the same when packing up to leave! The quality of the various services was also fantastic! I will be recommending them to anyone hosting an appropriate event and I will certainly work with them again! Very happy customer! We hired the selfie mirror and the candy wheel for our big day and I have to say they were a huge hit with our guests. I don't think the candy lasted 30minutes. Carolyn & Ian were fantastic and so flexible on the day when I had want to move the location of the mirror at the last minute. They were super quick in getting back to us as we planned our wedding from Canada. We couldn't recommend them any higher for your big day! This is one vendor that will not disappoint. Thank you again to Carolyn & Ian! Hi Samantha, Thanks very much for leaving us this review. It was a pleasure to add some entertainment to your night. We were so happy with our selfie mirror at our wedding. It was a huge hit among our guests!! Hi guys this review has just gone live. You had my heart skipping a beat lol. It was a pleasure and thanks so much for the kinds words. It was no hassle at all. Thanks so much Carolyn's sweets the selfie mirror was brilliant it was great fun for the 3 hours I couldn't get my guests away from it for the whole night they were talking about it thanks so much. Hi Lynn Thanks for taking the time to leave this review. Delighted you were happy with our services. Thanks Amy. Was a great night and such a brill venue. Carolyn and Ian were fantastic. We got both the candy ferris wheel and selfie mirror. The choice of colour and selection of sweets on the ferris wheel was excellent. The selfie mirror was cool, everybody was talking about it and it came with great props. We received an album on the night and then a digital copy was also sent to us via a link. We were very pleased with Carolyn's Sweets. Thank you so much Carolyn and Ian for the selfie mirror at our wedding. It was fantastic and everyone loved it ! The pictures were fantastic with everyone getting print outs. Getting all the photos of the night by email within a couple of days is brilliant it meant we could see everyone enjoying themselves ! It is such a brilliant idea and a talking point with guests ! We can't rate them enough !! Hi Louise. Thanks very much for taking your time to leave us a review. The ferrero heart went down a treat at my 30th birthday!Thanks so much and judging by all the compliments and business cards I gave out, you're sure to get plenty of bookings.Thanks again.Stunning centre piece and yummy too!